The London Hotel in Los Angeles has a beautiful rooftop terrace for events, which provides an incredible view of the city. 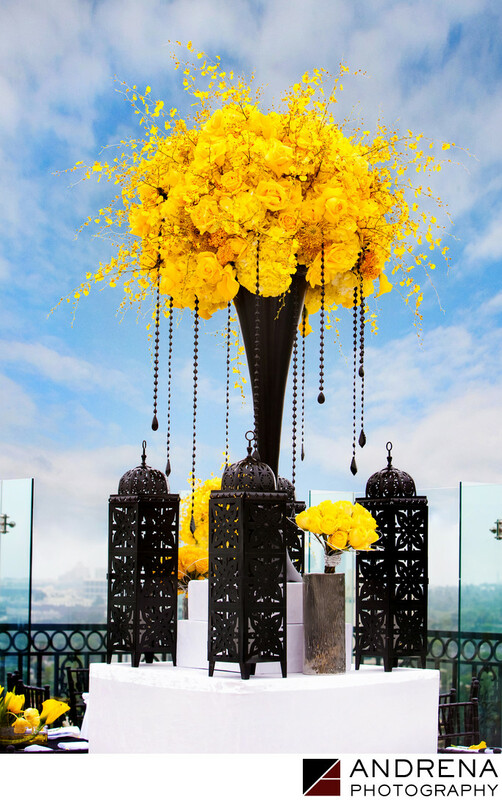 For this event, the talented Square Root Designs used a yellow, black and white modern color palette to make this outdoor reception come alive. The reception included aerial performances positioned over the rooftop pool. This event was published in Ceremony Magazine.